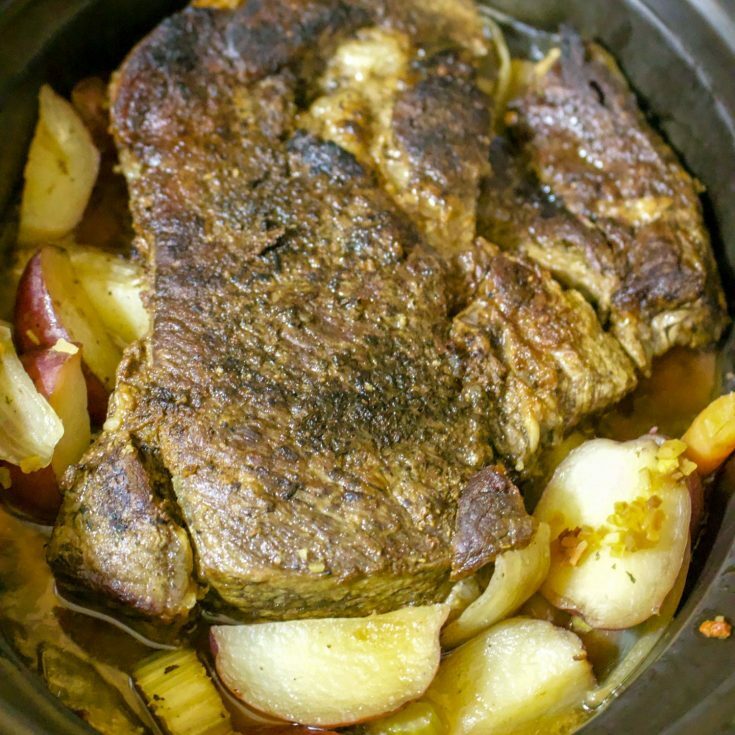 These Easy Recipes With Potatoes can help you put meals on the table in no time. Choose from appetizers, soups or main dish, there is something for everyone for sure. We all love potatoes! In many cultures around the world potatoes are considered a staple and a source of food for survival. 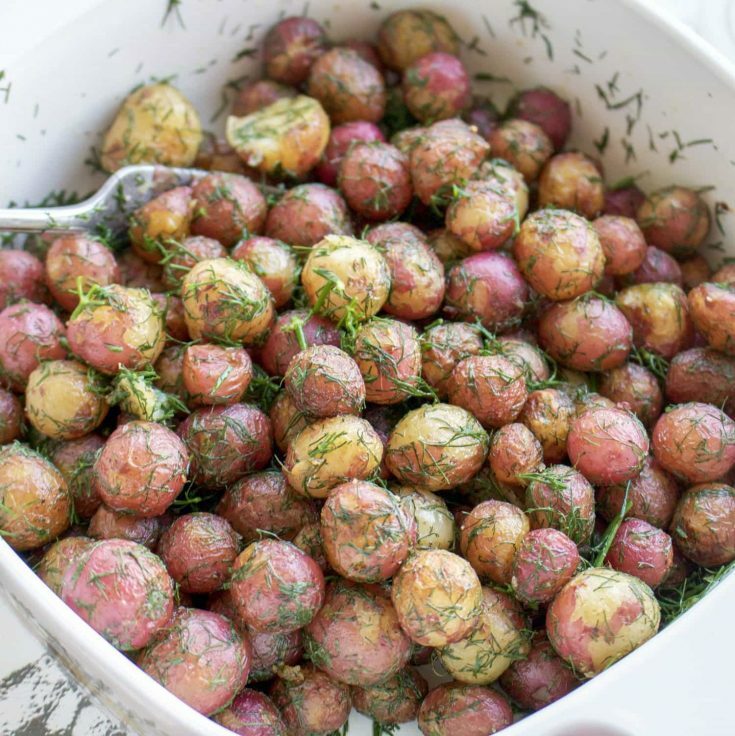 From appetizers to soups, to main dish to desserts, potatoes are used in many ways. 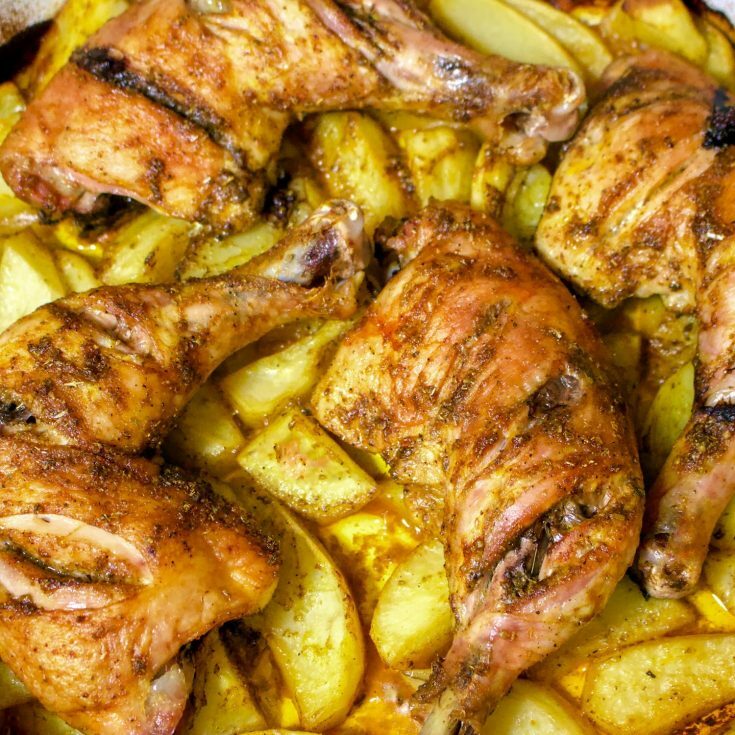 Mashed, fried, roasted or boiled, recipes made with potatoes are endless and all of them are delicious. How much do we know about potatoesbesides the fact that they are an awesome vegetable? 1. Potatoes tend to adapt to almost any cooking technique you can imagine and are happy being paired with almost any ingredient. 2. Potatoes are extremely demanding about their growing conditions, as they need rich soil to grow. They are also among the most nutrient-hungry of all foods. 3. In good conditions they are so resilient that if you cut a potato into pieces and sow them in the ground, each piece will grow a plant exactly like the one you started with, like a perfect clone! 4. Potatoes that are kept in the refrigerator become sweater, as chilled potatoes begin to convert starch into sugar. These potatoes are not good for frying as the sugar in them will burn fast. Keep potatoes in a cool, dark place. Warm temperatures encourage sprouting. Avoid direct sunlight and don’t keep potatoes in the refrigerator, or they will turn sweet. In most cases, there is no right answer. There are nutrients in the potato skin, so if they are organic and you like the taste, go for it. It is really up to your taste. Many potatoes have a colorful skin, so it’s good to leave the skin on, especially if you roast or bake them. Scrub unpeeled potatoes with a stiff brush to remove any soil. My preference is with the skin on, but ONLY if they are organic. How Do You Decide Which Ones To Use In Which Way? There are over 5000 potato varieties worldwide. The easy answer comes down to how much starch a potato has. The higher the amount, the drier and fluffier the texture of the cooked potato is going to be. There are three main types of potatoes I saw in the grocery stores. Besides them, there are the new potatoes I buy at the Farmers Market, the fingerling potatoes I get for small meals and many other varieties. Waxy Potatoes– these potatoes are low in starch , have a higher content of sugar and water and keep their shape better. 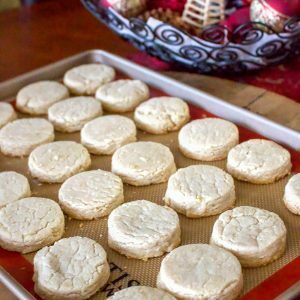 These qualities make them perfect for potato salads, gratins and roasted potatoes, but not a good option for mashed potatoes. Starchy Potatoes– When cooked, these potatoes do not hold their shape very well, which makes them perfect for mashed potatoes, boiled, steamed, baked and fried. Russet and Idaho Potato are the popular ones for a baking potato. Also, awesome French Fries come out of these two varieties. All Purpose Potatoes– these potatoes are something in between the waxy potatoes and starchy ones. The name says it all, as they can be used in all kind of recipes. One example of all purpose ones is the Yukon Gold Potato. It is waxy enough to hold its shape and starchy enough to be used in mashed potato. When you don’t know what to choose, go for the all purpose ones. 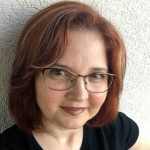 So, now that we know a little bit better about what potatoes we need to use, I thought it would be fun to put together a collection of easy potato recipes from my blog that I hope you will find useful. This collection is meant to grow over time, because potatoes are one of these vegetables we all love and eat on a regular basis. 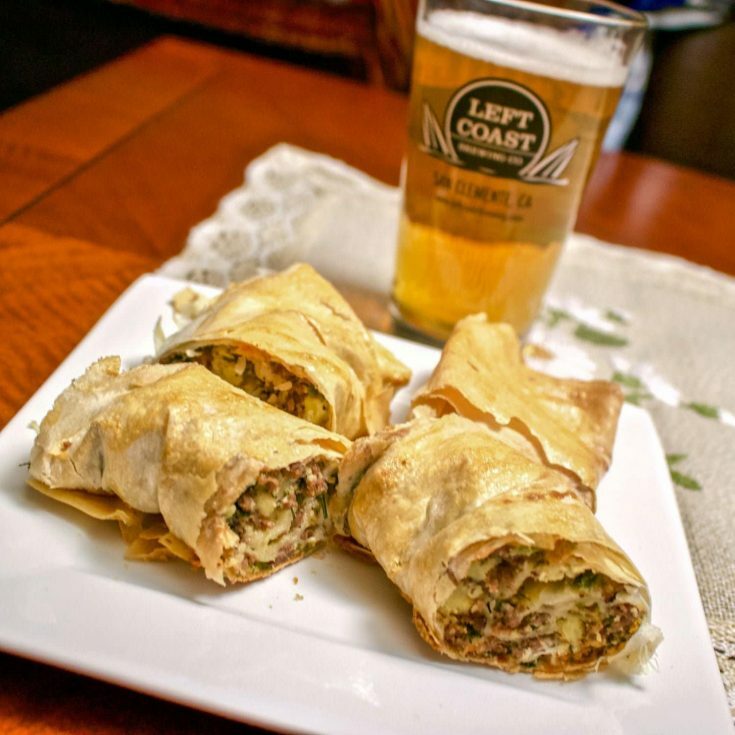 You will find recipes for appetizers, soups, salads, main dish and side dish. There is something for everyone. 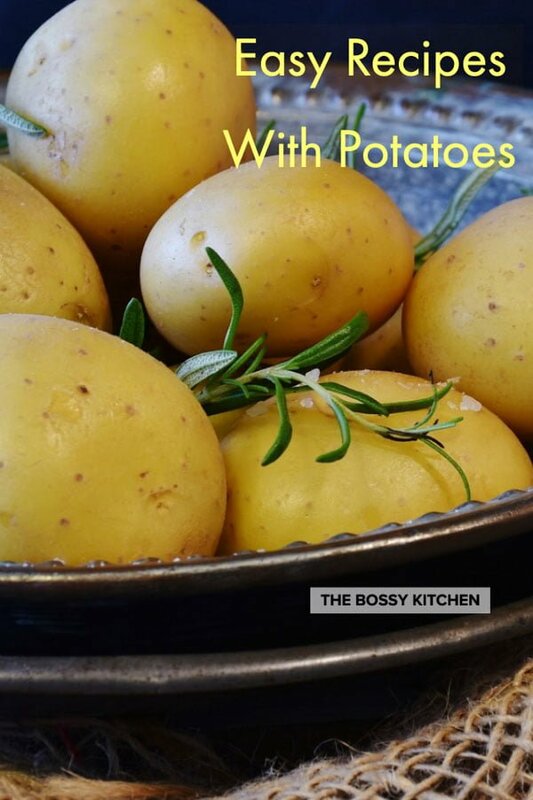 Looking for more potato recipes? Look no further. 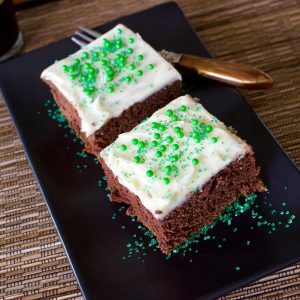 Perfect recipes for any occasion. 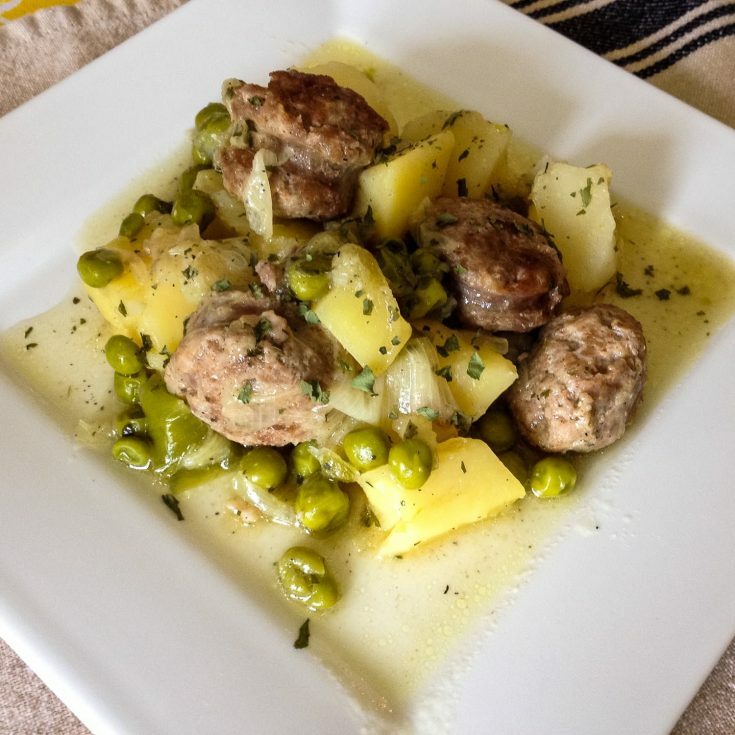 What a delicious option to make in Spring, with new potatoes. 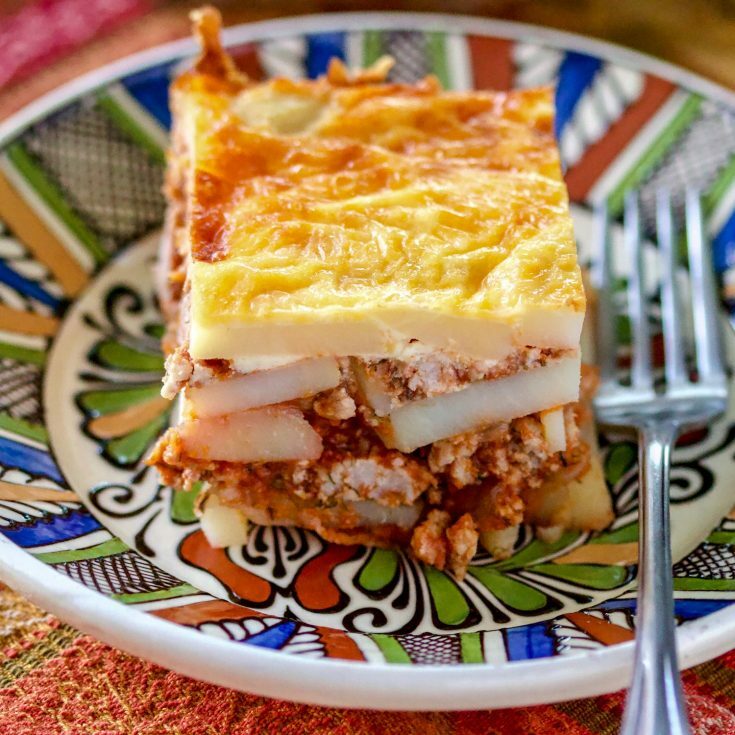 Delicious pie made with phyllo dough, potatoes, ground meat and Feta cheese. Perfect as appetizer or main dish served with a salad. 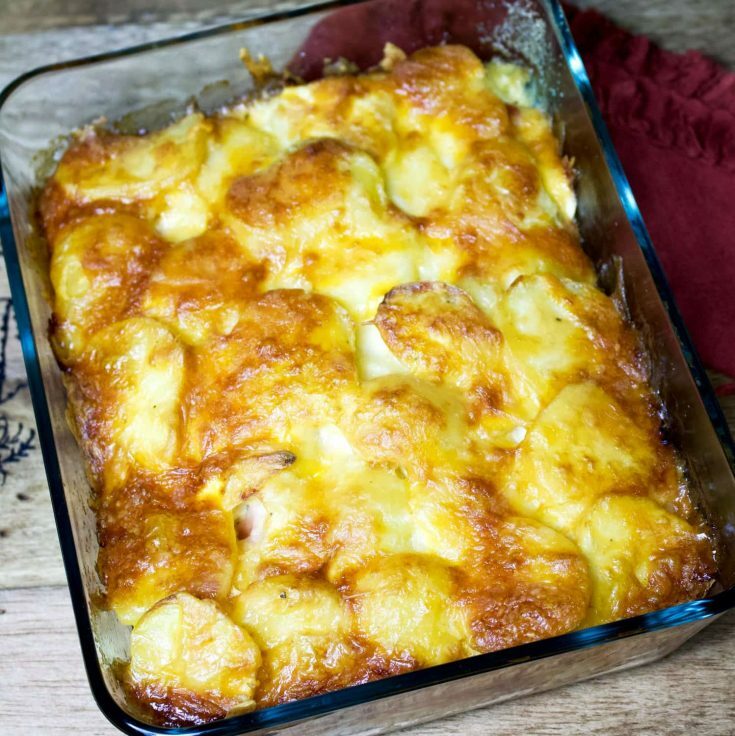 Romanian traditional recipe, these scalloped potatoes with hard boil eggs are delicious for a light dinner. A truly vegetarian recipe. 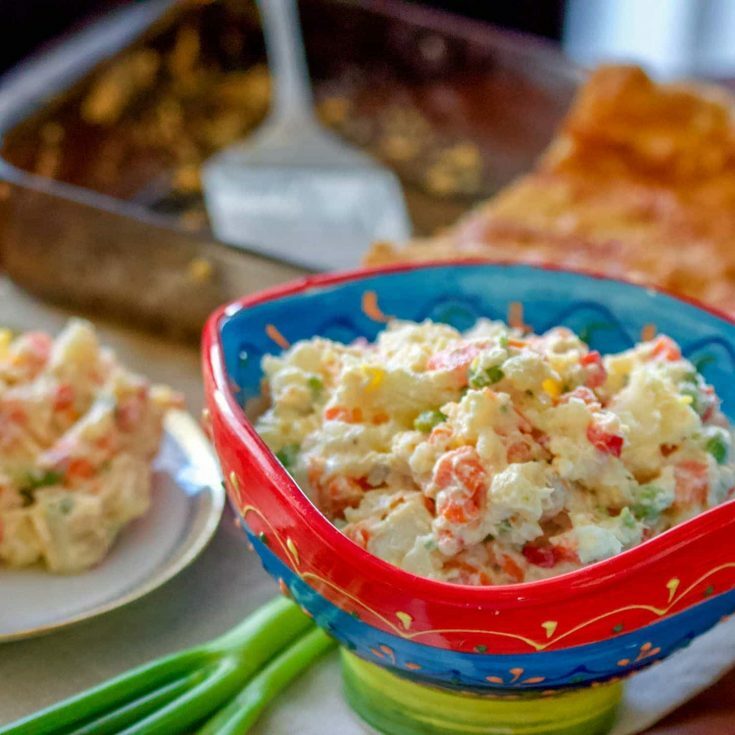 A classic Romanian recipe that is perfect for a dinner in the family. 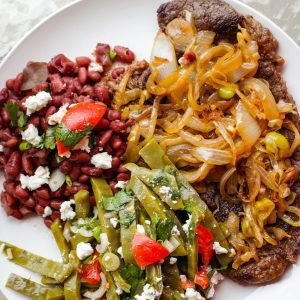 An easy dinner for busy people. Delicious and light. 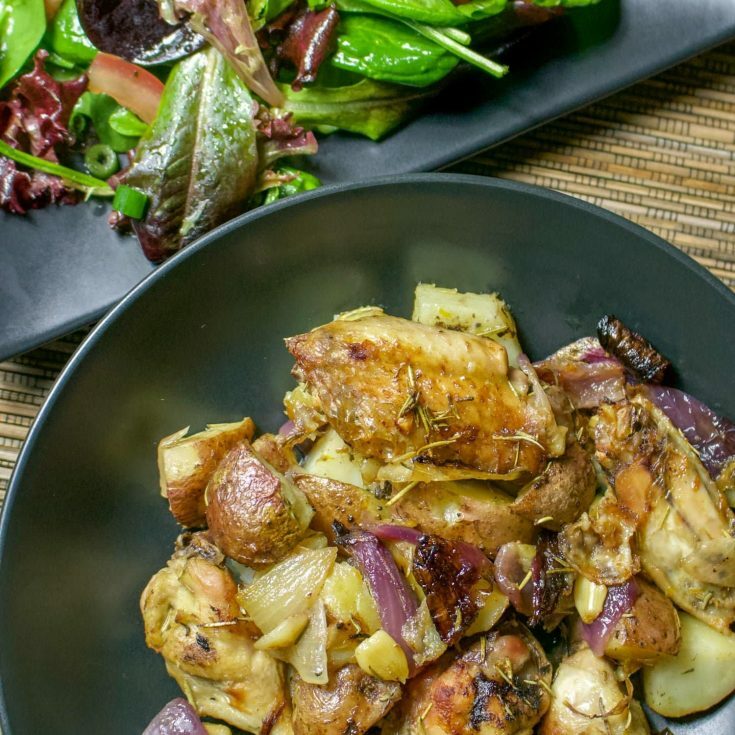 Awesome chicken dinner made with potatoes and red onions. Perfect for any day of the week. 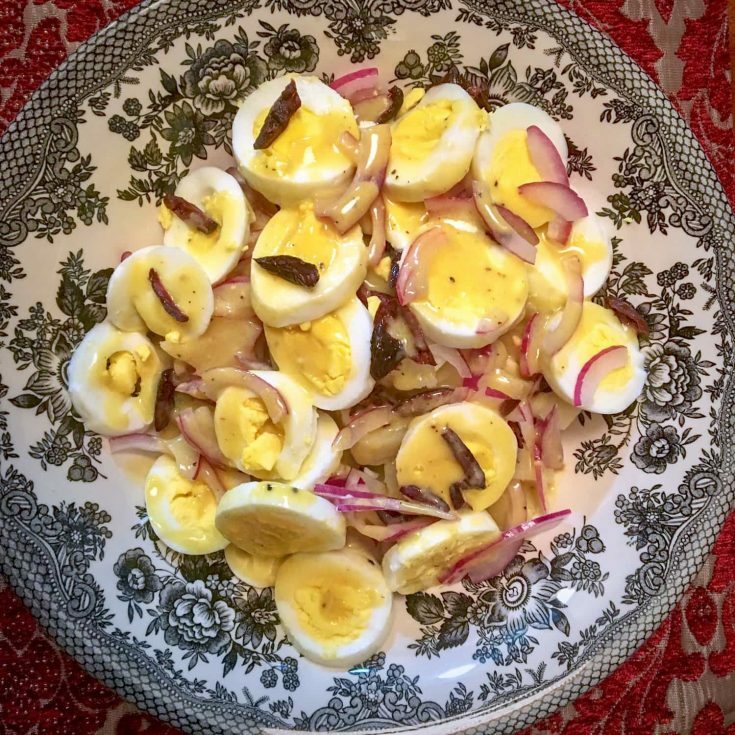 Easy green salad recipe made with potatoes and decorated with hard boiled eggs for extra protein. 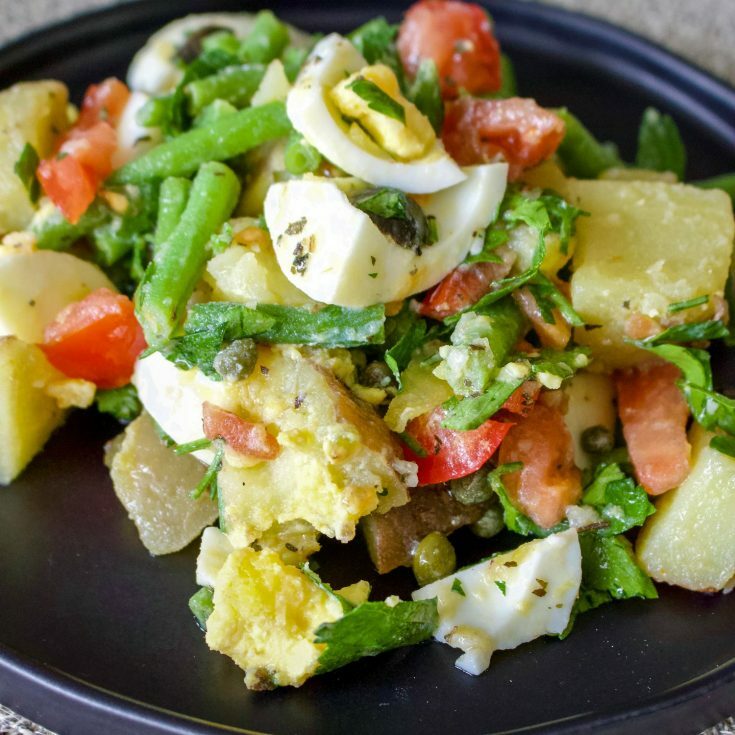 A traditional Spanish Potato Salad- coming from Spain, this salad is a great addition to your potato salad recipes collection. 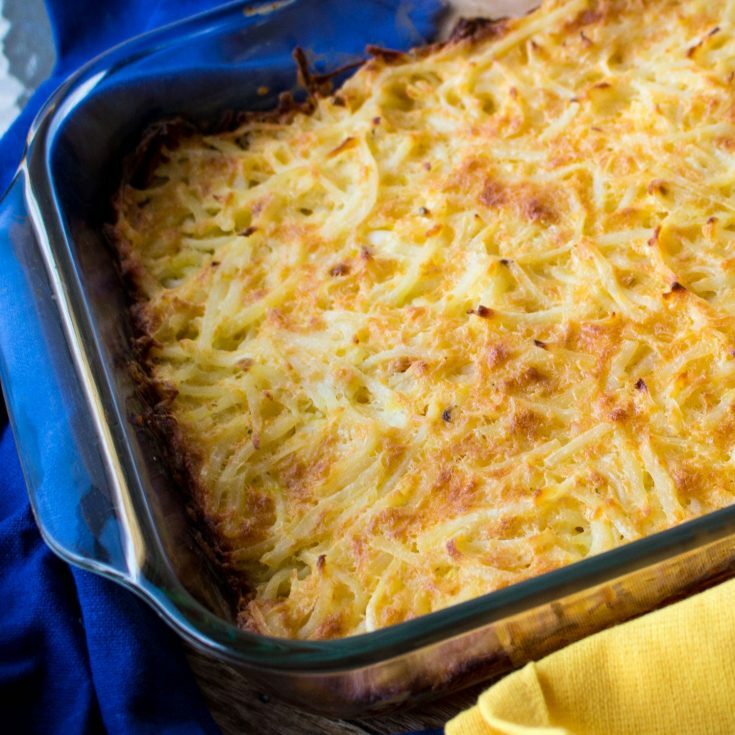 Traditional Cheesy Potatoes are very suitable for the holidays. 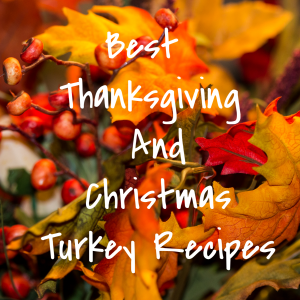 From Christmas to Easter to Thanksgiving, this recipe is a comforting and easy to make. 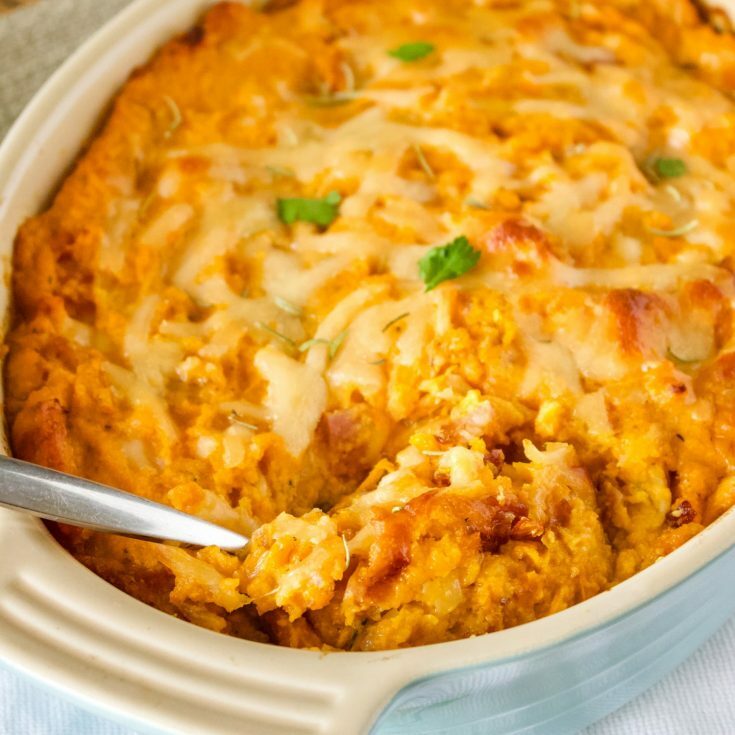 If you love savory sweet potato casseroles, this recipe is for you. 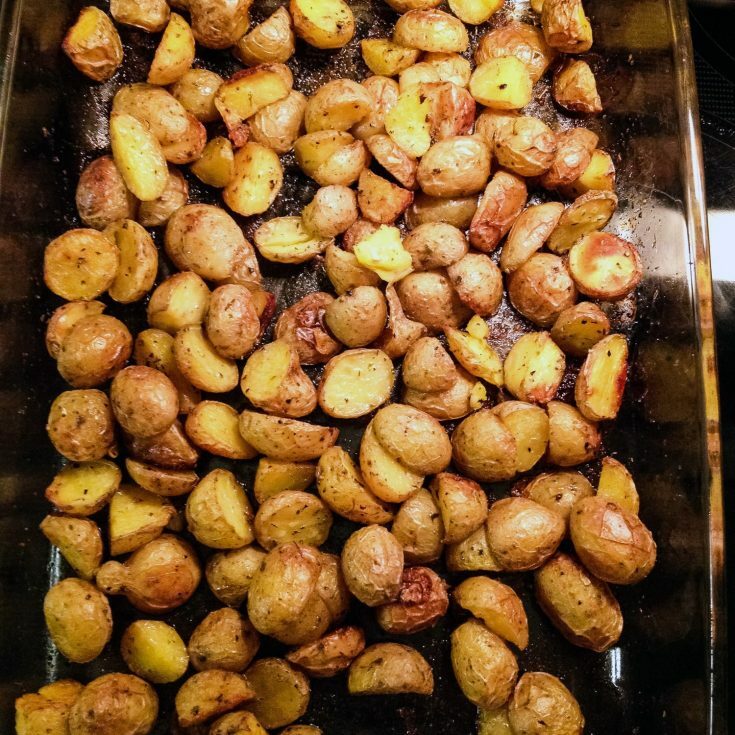 One of the easiest recipe on the blog, these roasted potatoes are the best. 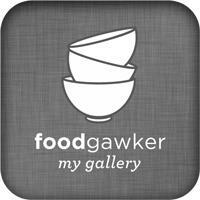 Are you tired of that sad bag of frozen potatoes form the freezer? 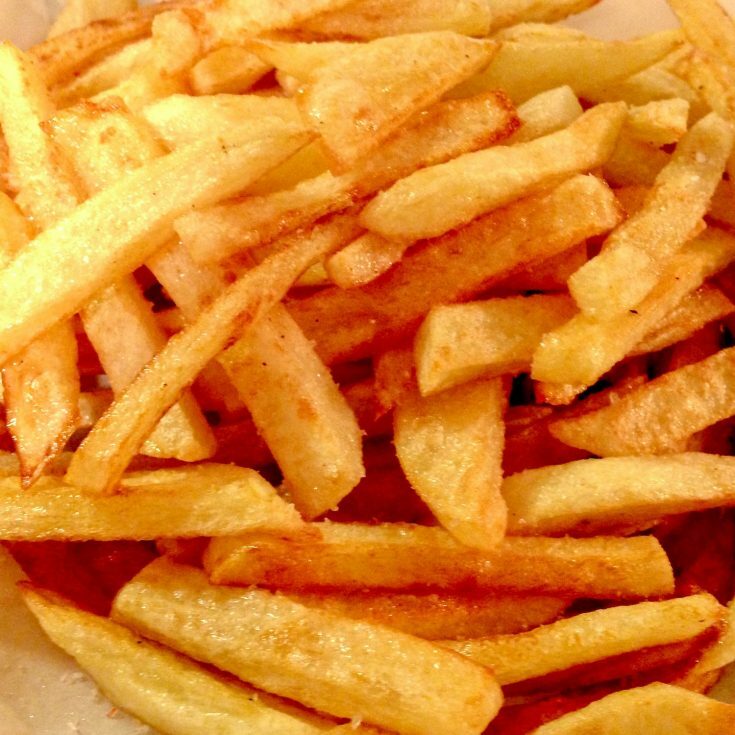 Grab real potatoes and make real French Fries! Nothing better than the real ones! 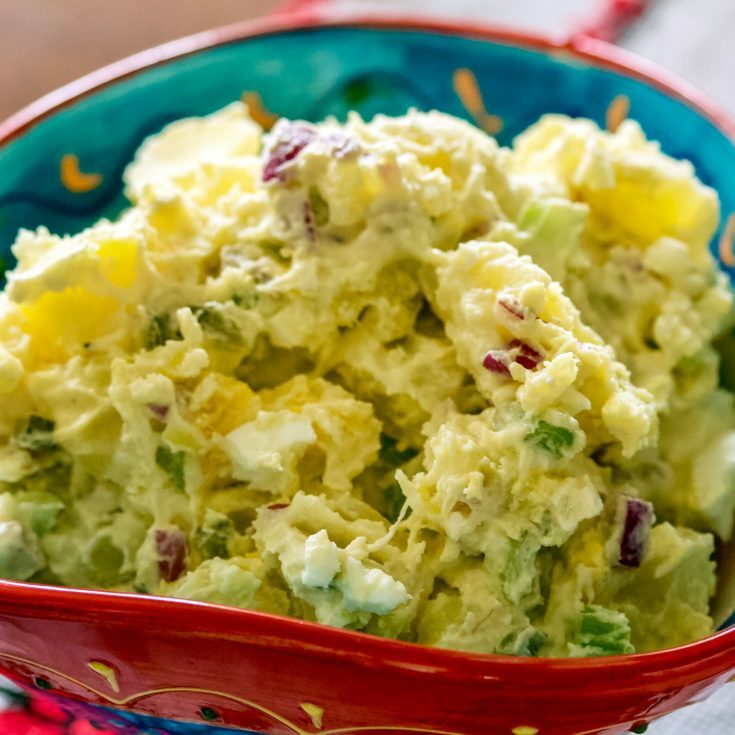 Another potato salad recipe that is great in winter. 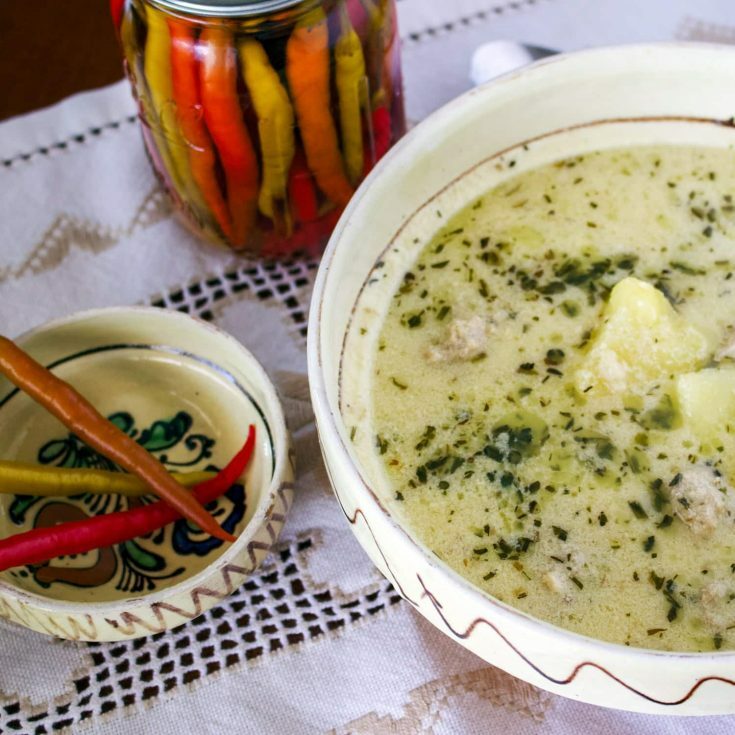 Traditional Saxon potato soup with tarragon from Transylvania. 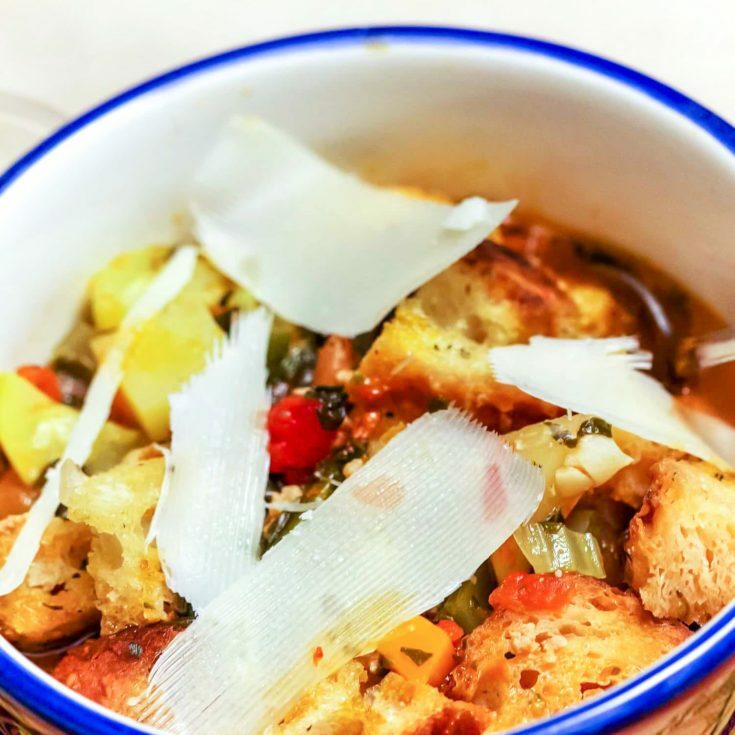 Italian soup that uses a variety of vegetables including potatoes for a comforting and delicious complete meal. 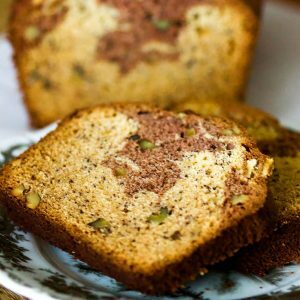 Classic and delicious recipe, perfect for any picnic, potluck or party. 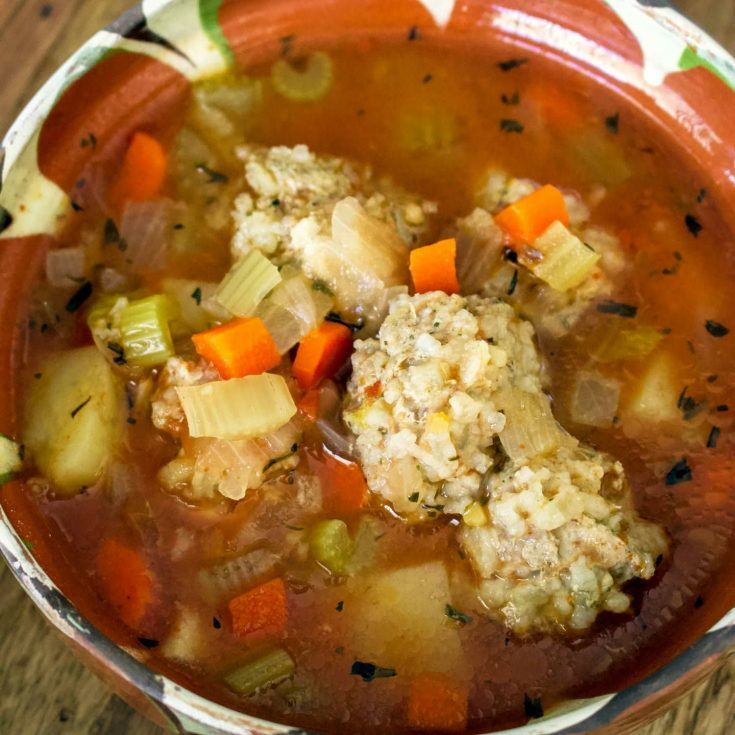 Awesome traditional sour soup made with meatballs and potatoes. 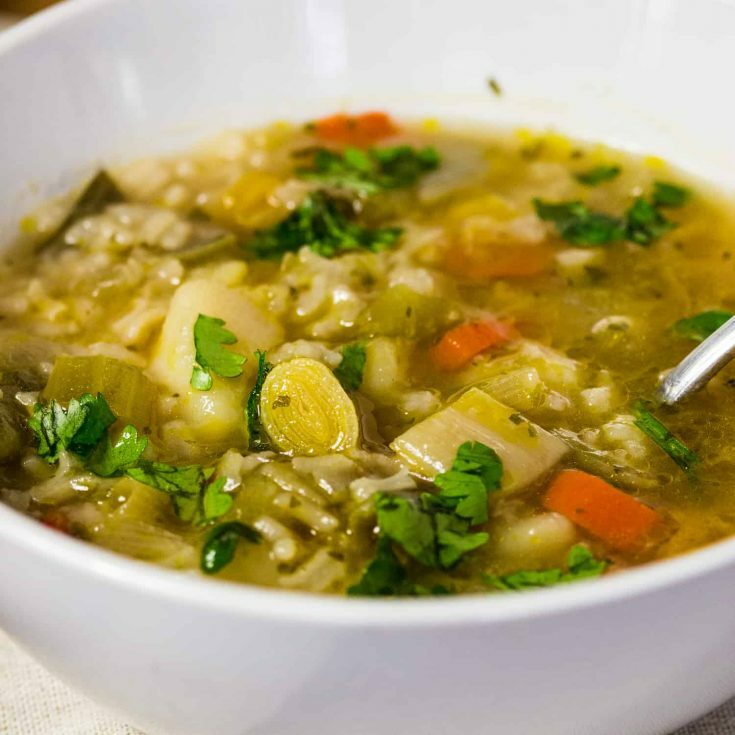 Easy vegan soup that uses leeks, rice and potatoes. 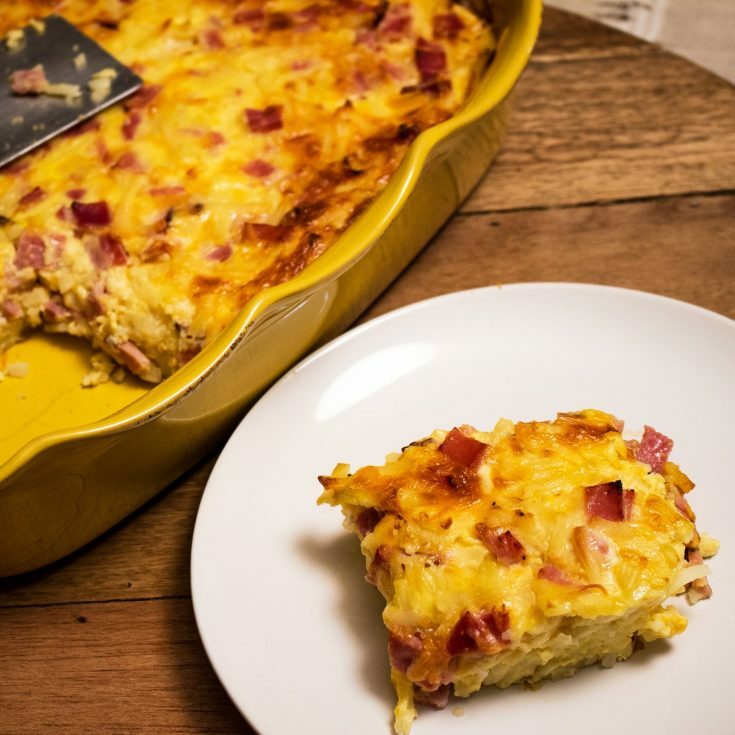 This is an awesome recipe for times when we need to feed a crowd. perfect for brunch, around the holidays and anything in between. What other dishes you made with potatoes?